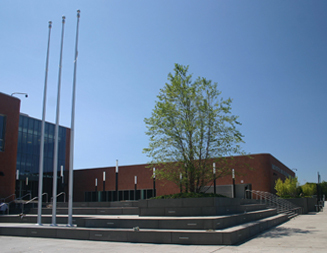 The Back of the Yards High School in Chicago implements the CPS Urban Model High School prototypical design to serve 1200 students in a 200,000 SF building of brick, glass and steel, three floors plus lower level, to include music, art, and athletic functions. Exterior facilities include a softball field, tennis courts, and combination soccer and football field with scoreboards. 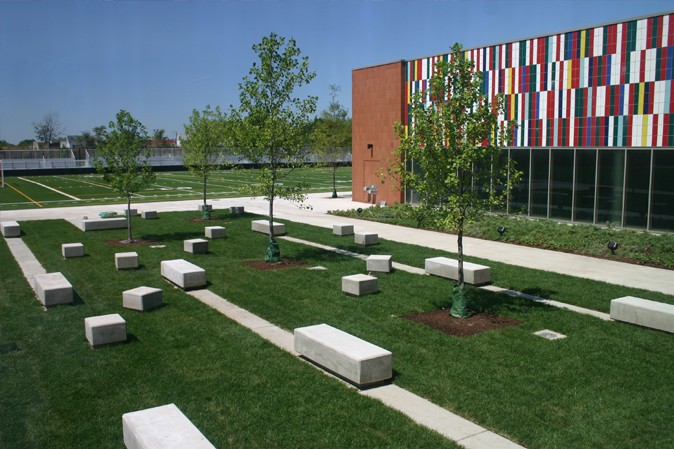 The site features two reading gardens with cast concrete benches, cube seats and shade trees, and a native plant area with education signs. 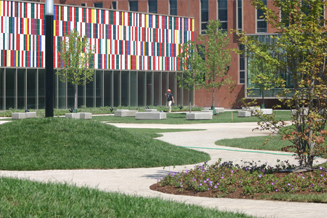 A loopy walk of pavers leads from the parking area through the planting to the field of artificial turf. Bike racks and preferred parking spaces for fuel efficient vehicles encourage alternate modes of transportation, while permeable pavers increase the perviousness of the parking lot. 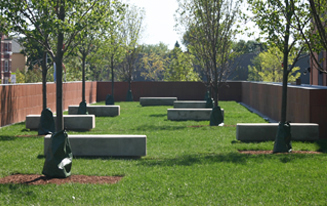 Light color hardscape materials and trees lessen urban heat island effect. To conserve water, landscape materials include adaptive and native species. Quick couples will aide in establishment of plants but no permanent potable water irrigation system is provided, except to irrigate the softball field. 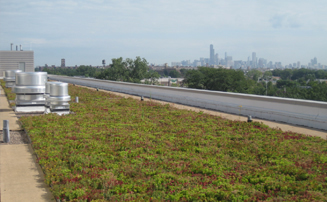 Targeted to achieve LEED for Schools minimum “Silver” level certification, the requirement for 25% of the roof space to be vegetated was exceeded. 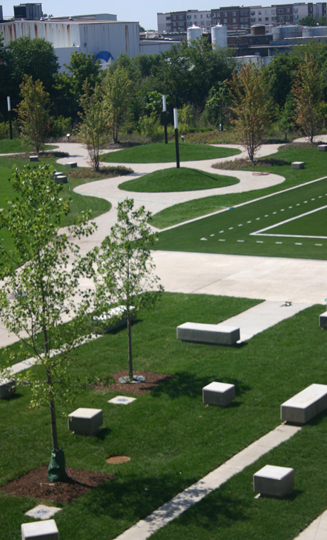 The green roof areas, visible from inside the building, are built with a sedum meadow mat system that expresses architectural interest through variations in widths and elevations in linear striped fashion leading away from the building toward the athletic field. 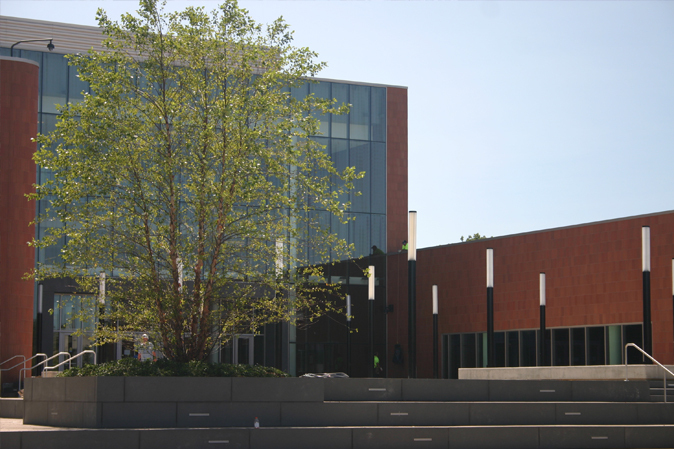 Jacobs/Ryan Associates worked with the Architects of Record to develop the site plan and continued services through construction documentation and construction administration.